Casino Euro – Daily Deals for 2018! Enjoy the first Daily Deals of 2018! 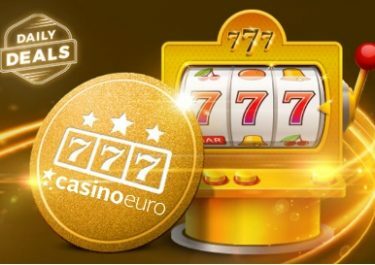 Enjoy a daily casino offer for Free Spins, Bonuses and Rewards! Christmas treats devoured, New Year’s Eve Champagne emptied and we find ourselves at the start of 2018. December has been dominated as usual with tons of promotional campaigns filled with festive rewards and surprises. 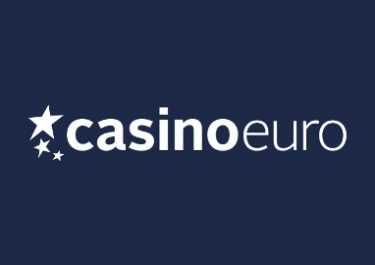 At Casino Euro, they will continue as the “Daily Deals” have been extended into the new year with deposit bonuses, Free Spins and Tournaments to be enjoyed by all eligible players. Kick-start your 2018 gaming adventure today with a generous deposit bonus. 1st December 2017 – 3rd January 2018: Yggdrasil €500,000 Christmas Calendar – While you enjoy the latest daily deal, make sure to compete in the last Christmas tournament on a selection of Yggdrasil slots for big cash prizes. 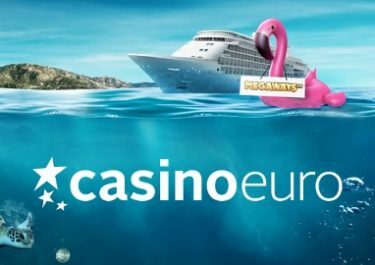 A total of €80,000 are up for grabs for those completing four missions in the fewest possible spins. 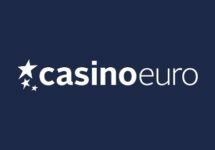 Monday, 1st January 2018: Reload Bonus – Deposit minimum €10 to receive a 50% deposit bonus, up to €20. Wagering requirement is 40x bonus within five days. Tuesday, 2nd January 2018: Slot Tournament – Score 1 | 3 | 5 points for every €10 wagered | every Nice Win | every Mega Win on Trolls Bridge to place in the TOP100 for bonus prizes ranging from €20 – €500 or 30 Free Spins, all credited by 15:00 CET on Wednesday. Wagering requirement on bonus prizes is 10x and on FS winnings it is 15x within five days. Thursday, 4th January 2018: Cash Giveaway – Spin actively with cash bets on Trolls Bridge from 15:00 – 22:00 CET and you could trigger one of 81 random rewards between €10 – €500, instantly credited in cash. An in-game tab displays remaining time and prizes. Saturday, 6th January 2018: Cash Giveaway – Spin actively with cash bets on Valley of Gods from 15:00 – 23:00 CET and you could trigger one of 81 random rewards between €10 – €500, instantly credited in cash. An in-game tab displays remaining time and prizes.